Teqball, a recently-invented football-based sport popular in Europe, has reached Birzeit University. Invented in 2014 in Hungary by Gábor Borsányi and Viktor Huszár, Teqball combines elements of football and table tennis. The table on which it is played resembles a traditional tennis table, albeit curved to account for the size and speed of the soccer ball. 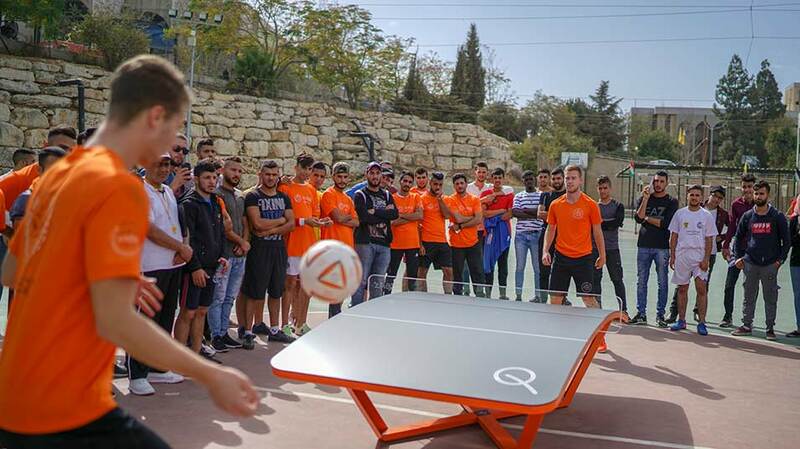 A Teqball table, valued at 3,000 euros, was offered by Teqball International Limited, the company which pioneered the sport, to a university or a school in Palestine. The Representative Office of Hungary in Palestine recommend that it be placed at Birzeit University, as it would reach a high number of students and individuals in the Palestinian community. 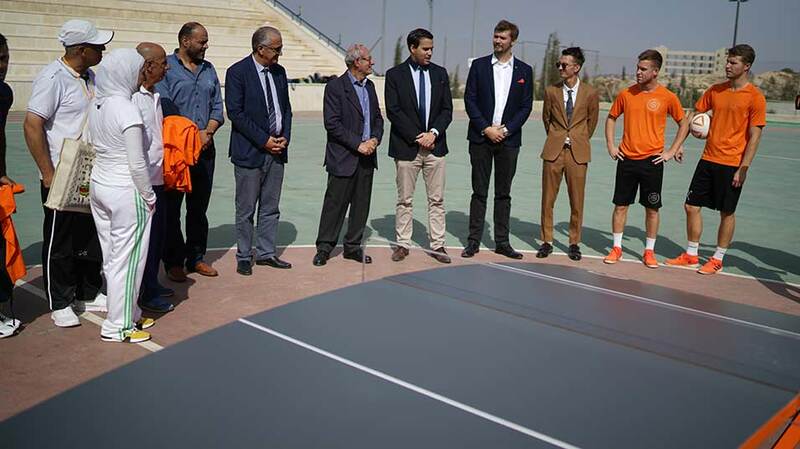 “We are very proud to debut Teqball in Palestine here at Birzeit University,” said Henry Giacaman, the vice president for academic affairs at Birzeit University, at the table’s unveiling on campus. “When the Teqball company came with this generous offer to donate a Teqball table and to show how it’s done, our first thought was Birzeit University,” said Rada. Representatives from the company showcased how the game is played: two to four players stand at opposite ends of the table and try to score points by volleying the ball to the opponent’s side. A player can touch the ball three times before sending it to the other side; however, the three touches can’t be made with the same body part.